Join the Plain City Elementary School’s PTO for the 10th Annual Community Carnival on Sunday, May 1. 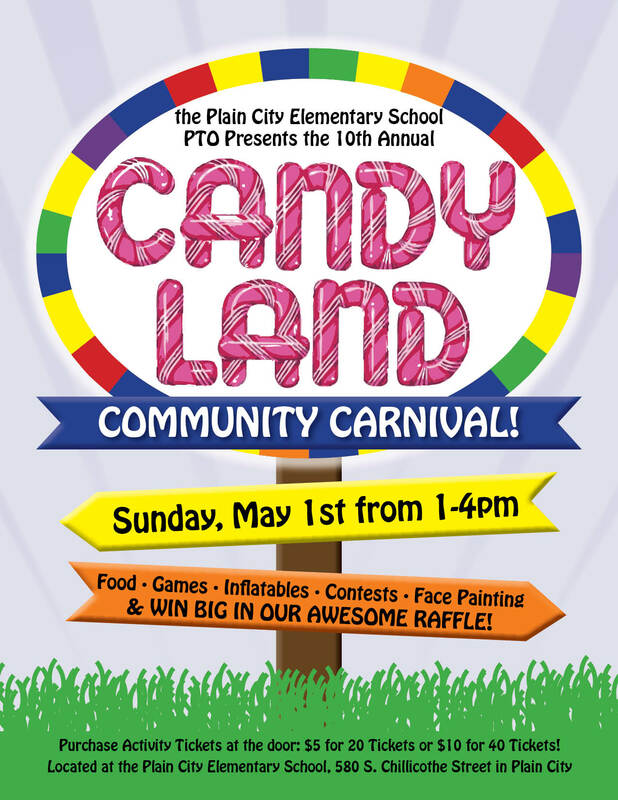 We hope you will make time to attend the 10th Annual Candy Land Community Carnival sponsored but the Plain City Elementary School’s PTO on Sunday, May 1 from 1-4 pm. There will be food, games, inflatables, contests, face painting, and a chance to win big in the awesome raffle being held throughout the Carnival. Purchase Activity Tickets at the door: $5 for 20 tickets or $10 for 40 tickets. The Community Carnival will take place at the Plain City Elementary School, 580 South Chillicothe Street, Plain City. Plain City Artist, Becky Raber is Donating a Portrait for the Lions Auction on April 28. Plain City artist, Becky Raber, is donating a portrait painting for the 2016 Lions Auction. Come and bid on this unique item on April 28 at Der Dutchman. Becky is a wonderful artist and you can see some of her work in the pictures below. 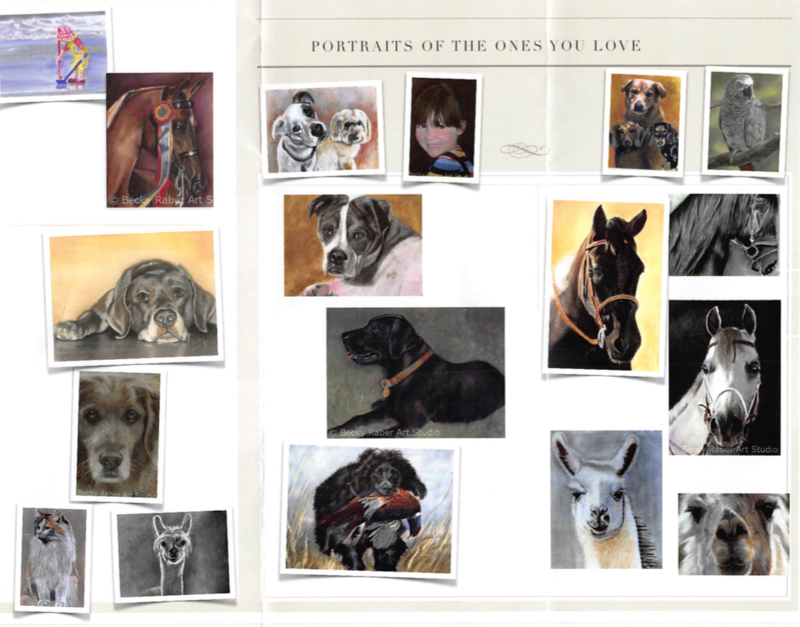 Have a portrait made of someone you love–two legged or four legged!! 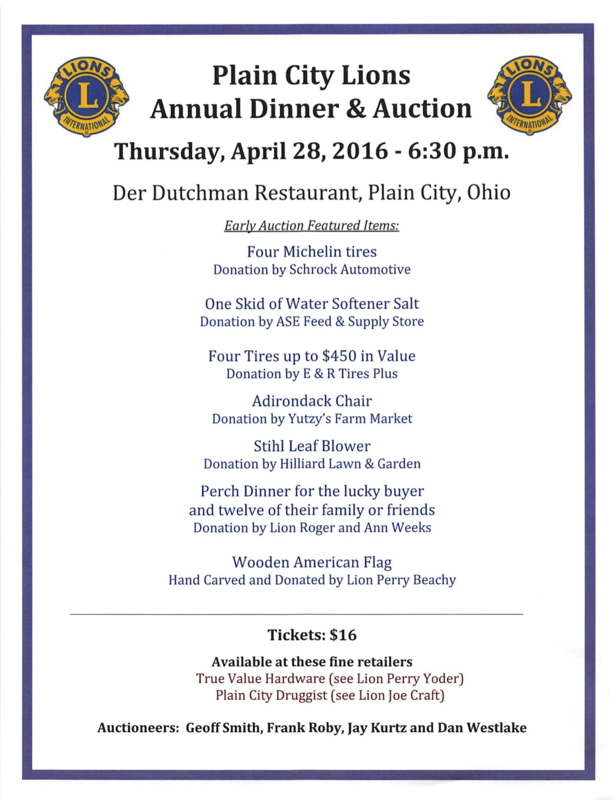 The 2016 Lions Club Annual Dinner and Auction will be held on Thursday, April 28, in the Banquet room at Der Dutchman Restaurant in Plain City at 6:30 pm. Tickets can be purchased at True Value Hardware (see Lion Perry Yoder) or here at the pharmacy (see Joe). Check out Becky’s web site HERE. Like Becky on Facebook HERE. Sun Protection. By Our April Student Pharmacist, Mark Borns. With spring here and summer right around the corner, many people are more active outside with increased exposure to the sun’s harmful rays. Before making the mistake of spending the day outside, there is important information to understand about risks from the sun’s ultraviolet (UV) radiation and how to protect yourself. The increased popularity of outdoor activities and recreations in recent years is strongly related to the increased incidence in skin cancer. Staying in the sunlight too long is widely accepted as the cause and experts believe that four out of five cases of skin cancer could be prevented by avoiding UV radiation. The best way to protect your skin is to make sun protection part of your daily routine. Here are some methods and tips to utilize before spending your next day outside. Wearing protective clothing is a great method to prevent exposure to the sun. A wide brimmed hat can help block the sun from your face. Long pants and shirts can cover much of the body’s otherwise exposed skin. Tightly woven, light colored, lightweight fabrics will provide the most comfort and protection. 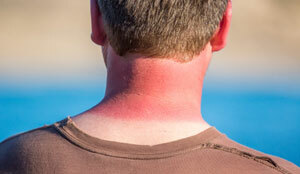 Wearing protective sunscreens is a must for exposed skin. Sunscreen provides a barrier that reflects UV radiation and prevents damage to the skin. 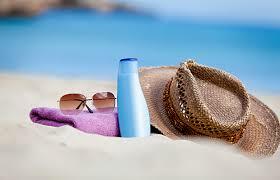 Sunscreens or sunblocks are available as lotions, sprays, wax sticks, and creams. 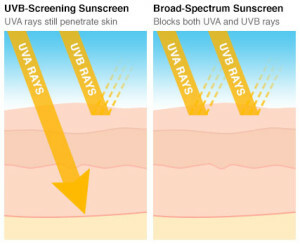 When choosing a sunscreen, the FDA recommends using at least SPF 15 and coverage from both UVA and UVB rays. Check the label to ensure that the ingredients are listed as broad spectrum. Some sunscreens are labeled as water-resistant. Keep in mind that this does not mean waterproof. Water-resistant sunscreens can stay on the skin longer even if you are in a pool or sweat, but they still need to be reapplied. Check the label for directions. Typically sunscreen should be applied 30 minutes before going outside so there is time for it to absorb or soak into the skin. Then reapply every two hours while outside. Remember to apply sunscreen to commonly forgotten spots such as ears, lips, back of the neck, and tops of feet. Wear sunglasses to protect your eyes. Look for lenses labeled with 100% protection against both UVA and UVB rays. Darker lenses do not always mean more protection so be sure to check before your purchase. Be careful with children, as toy sunglasses may not offer adequate protection. Large, wraparound sunglasses are best because they cover the entire eye socket and they are especially helpful when around water where UV rays are being reflected back. Sun protection is most effective when each of these methods are combined. So make sure that you have long clothing, a hat, sunglasses, and sunscreen to protect your skin. Follow these methods this season and in the future to help keep your skin healthy and reduce your risk of developing skin cancer. U.S. Food and Drug Administration. Sun Protection. Available at: http://www.fda.gov/radiation-emittingproducts/radiationemittingproductsandprocedures/tanning/ucm116445.htm. Accessed April 18, 2016. Sun protection. World Health Organization. Available at: http://www.who.int/uv/sun_protection/en/. Accessed April 18, 2016. Travel Health and Traveling with Your Medications. By Our April Student Pharmacist, Kristy Jackson. 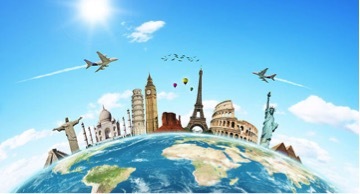 The summer is coming soon and many of us may be traveling to other states or even other countries for vacation. There are a lot of things to think about when preparing for a trip. I want to make sure you don’t forget about your health and medications in the process. 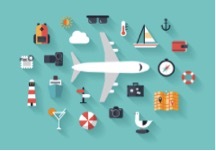 Here are some tips on travelers’ health and how to prepare and pack medications for trips. Pack all the prescription medications you take on a regular basis. Don’t forget things like creams, inhalers, and injectable medications, if you are also taking these regularly, as well. If you have any severe allergies and have been prescribed epinephrine by your doctor, pack your EpiPen. When packing your medications, make sure you have enough supply to get you through the trip and a few extra days just in case. If you don’t have enough supply, visit your pharmacy before leaving to get your prescriptions refilled. 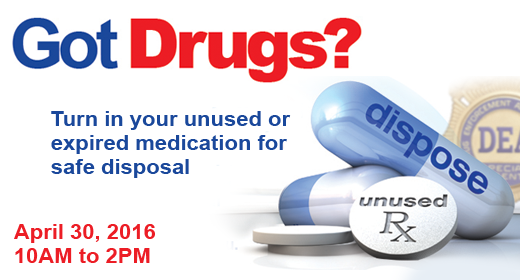 Medications in pill or solid forms can be brought in unlimited amounts as long as they are screened. Medications in liquid form ARE allowed in carry-on bags in excess of 3.4 ounces in reasonable quantities for the flight. You DO NOT need to place them in a zip-top bag. 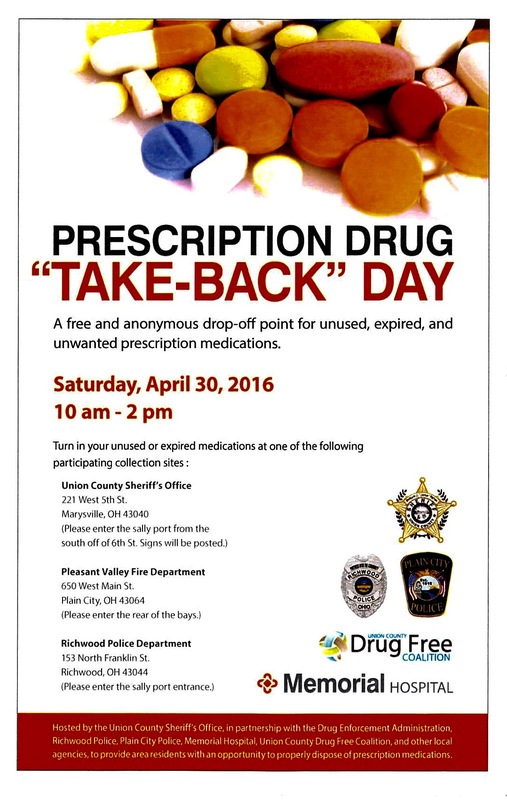 Make sure to tell the officer that you have medically necessary liquids at the start of the screening process. You may be asked to open the container as part of the screening. It is highly recommended to pack your medications in your carry-on for easy access in the event they are needed. You can also pack them in checked baggage if they will not be necessary while on the flight. TSA does not require your medications to be in the prescription bottles, but each state has their own laws when it comes to labeling of prescriptions and passengers need to comply with these laws. To be safe, I would suggest taking your medications in the prescription bottles given to you at the pharmacy. Doing this will ensure the medication is labeled properly for any travel. When traveling with controlled substances or injectable medications, it is a good idea to have a note on letterhead stationary from your physician. Pack a written list of all your prescriptions. 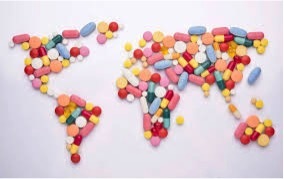 If you are traveling to other countries, check with the American embassy or consulate in that country to make sure that your medication will be allowed into the country. There are some countries that do not let visitors bring certain medicines into their country. Depending on where you are going, you may also want to pack over-the-counter (OTC) medications such as pain relievers, antidiarrheal medications, antihistamines, or antacids just in case. Pack Smart | Travelers’ Health | CDC. Wwwnccdcgov. 2016. Available at: http://wwwnc.cdc.gov/travel/page/pack-smart. Burns B. The TSA Blog: TSA Travel Tips Tuesday – Traveling With Medication. Blogtsagov. 2013. Available at: http://blog.tsa.gov/2013/09/tsa-travel-tips-tuesday-traveling-with.html.